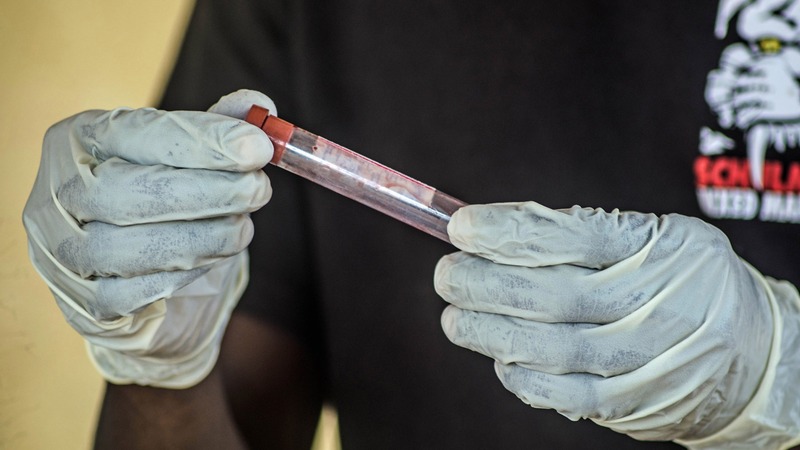 Hasan Kamara patiently labels blood samples at the government hospital in Kenema, eastern Sierra Leone. The country, alongside neighbouring Guinea and Liberia, is currently experiencing the worst outbreak of Ebola on record, with 481 people having died from the incurable disease in the three countries as of 2 July. Seven health workers infected with Ebola at the hospital have died, including Kamara’s sister, also a hospital staff member. Health workers, frequently in close contact with the infectious virus, have been particularly badly hit. They work long hours. Some are volunteers. Recently, those working in the Ebola ward went on strike in a protest over pay: they say the 100,000 leone (US$23) per month bonus they were offered is inadequate in view of the risks they face. The government later said the bonus will be paid per week rather than monthly. Health workers are also facing hostility from those who see the disease as some kind of macabre conspiracy allowing health staff to remove body parts from patients. Some have received threats, while others have been physically attacked.